After a long, wide-ranging career with the Ottawa Citizen and Postmedia News, where he covered city hall, had a business column, wrote a variety of feature stories, served as city editor and developed a national history beat, Randy Boswell became a full-time professor in 2012. But he’d been teaching journalism at Carleton as a contract instructor since the mid-1990s, helping to train hundreds of students over the years in the fundamentals of reporting. He currently teaches second- and third-year reporting courses as well as a fourth-year lecture course — Journalism Now and Next — that explores the multitude of economic, technological, political and ethical issues facing the profession. 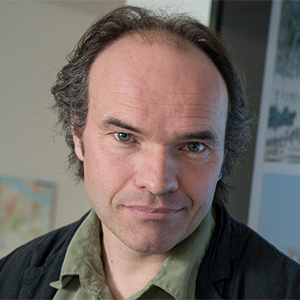 Boswell has been shortlisted for the Pierre Berton Award, Canada’s top prize for popularizing Canadian history, was the 2010 winner of the Yves Fortier Earth Science Journalism Award and was co-writer of a 1997 National Newspaper Award-nominated special project on Gatineau Park. He continues to write history-related news stories on a freelance basis and is pursuing various research projects that employ 19th-century newspapers to shed fresh light on political, scientific and journalistic issues and personalities of that era. Boswell recently edited a collection of essays related to the 200th anniversary of Sir John A. Macdonald’s birth and co-authored two papers set to appear in the Canadian Journal of Archaeology that unravel a 150-year-old mystery about an ancient Indigenous burial ground along the Ottawa River.